PHIL AND ANNE STARR BOUGHT A small vineyard in Grass Valley in 1995, intending to move their flower nursery there from the Monterey area. Since then, the Starr’s family run operation has experienced, well, stellar growth despite the recession. The family is now farming 12 acres of fruit, producing 2,500 cases of wine annually. Most of Sierra Starr’s award-winning wines have star-related names: “Solstice” Sauvignon Blanc, “Celestial” Chardonnay, “Cosmic” reserve Chardonnay, “Star Dust” Cabernet Sauvignon, “Rising Starr” Cabernet Franc and “Five Starr” Port. “It’s a fun name that lends itself to creativity,” says Anne. Sierra Starr’s wine club is named “Sirus Sippers” after the brightest star. Like most small wineries, the Starr’s depend on their wine club and tasting room for most of their sales, along with popular local restaurants such as Tofanelli’s, Club 141 and Cirinos. 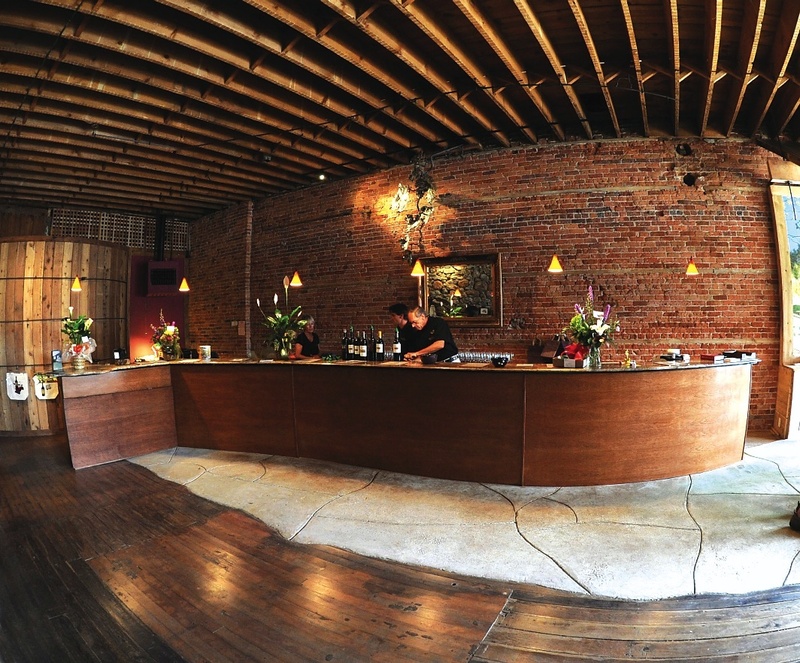 In 2003, the Starr’s opened the first wine tasting room in Grass Valley. 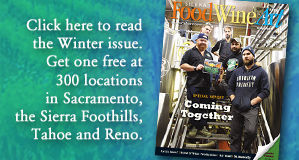 Three other wineries have joined them, making Grass Valley a popular wine tasting destination. The Starrs capitalized on the recession last September, buying a building for a new, bigger tasting room in the historic downtown. It is located at 124 W. Main St. at the intersection of Mill Street, one of the most visible locations in town. (The Amgen Tour of California bike race, the nation’s largest, will turn the corner in front of the tasting room on its route through the Foothills). Sierra Starr’s tasting room is a gem: Restoration revealed a fine example of mid-1800s architecture, with brick and stone walls on all sides. 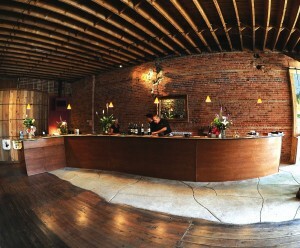 Highlights include a mural of their vineyard, a hand-crafted wooden door and a custom bar. The tasting room is open daily, noon to 5 p.m. The Starr’s vineyard also hosts events, including a popular “music in the vineyard” series during the summer. Most of Sierra Starr’s wines are estate grown. A wine cave for oak barrel aging keeps the wines at a consistent temperature — in the 50s. The winery’s flagship “old clone” Zinfandel ($15) comes from the oldest zin vines in Nevada County. The wine is very fruity and smooth with a touch of black pepper. “Phil’s Selection” ($25) is a barrel select Zin: Its nose is ripe with jammy black rasberry fruit. The Starr’s Sauvignon Blanc ($20) is a gold-medal winner. “It is one of the finest wines we make,” says Jack, the Starr’s son, who joined the family business in December 2005. He also is proud of “Jack’s Blend,” a red table wine ($17). Jack is the vineyard manager and assistant winemaker. His spouse, Molly, also helps out at the winery when she’s not teaching school. The Starrs sell some unique varietals. “Zinjolais” is made in a Beaujolais Nouveau style, with Zin grapes. “Starr Bright” champagne is fresh, fruity and slightly sweet. Both are priced at $15.